LAWRENCE — As issues like climate change, resource scarcity and technological progress increasingly influence how nations relate to each other, a new book by a University of Kansas researcher takes a critical look at mainstream ideas that underpin the international dialogue about our environment. 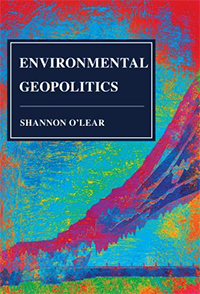 Shannon O’Lear, a KU professor with a joint appointment in geography & atmospheric science and the Environmental Studies Program as well as current director of the Center for Global & International Studies, is the author of “Environmental Geopolitics” (Rowman & Littlefield, 2018). “Environmental Geopolitics” centers around case studies and ideas that challenge longstanding notions about overpopulation, resource conflict, climate security and the communication of scientific ideas and imagery. O’Lear urges a close examination of conventional ideas. For example, she trains a critical lens on concepts of resource conflict that often suppose a scarcity of resources like water, food, energy and commodities — some of which aren’t actually scarce. O’Lear said one idea obscured by orthodox discussions about the environment is “slow violence,” or structural harm to people caused by gradual environmental problems that are hard to pin on one cause. The KU researcher said she intended for her book to inform policymakers and reframe current discussions of issues like climate change. O’Lear questions some atmospheric carbon and temperature-rise targets, such as the 2 degrees Celsius global temperature-rise mark offered by the Intergovernmental Panel on Climate Change. Instead, she advocates more creative approaches. O’Lear wrote “Environmental Geopolitics” with her own students in mind, and she is using the book to teach a class this semester. However, O’Lear is mindful of meager student budgets. 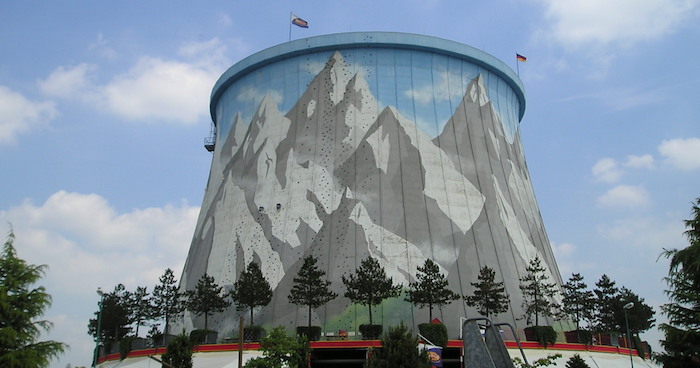 Top photo: A nuclear cooling tower is used as a climbing wall at a German amusement park. "They never did turn it on — they turned it into an amusement park, so the cooling tower now has a ride in it. It's kind of a radical idea that we're not so far gone that we can't reconsider what we're doing and relate to the environment in different ways," O'Lear said. Credit: Public domain image.